Govinda dasi has been a disciple of Srila Prabhupada since 1966. She is also the author and illustrator of numerous children’s books, including Gopal, Nimai, Jagannath, Krishna, and Damodar. 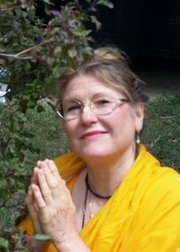 She resides in Hawaii and Vrindaban.